Cranial helmets as recently seen on TV are not just a fad. The cranial helmet technology is proven to successfully treat misshapen infant heads. In fact, our Certified Orthotist, Sean Greer, has over 14 years of experience using this technology and has been certified since 2003 for fitting custom helmets. 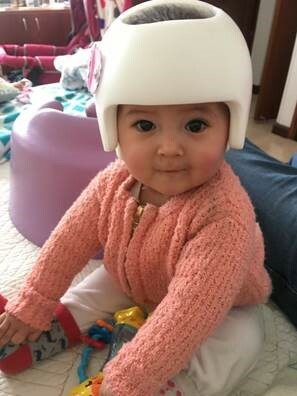 We offer the most sophisticated scanning technology in the industry for measuring and precision fitting helmets to correct the head shape of infants. Cranial remolding orthotic treatment guides infants head to grow into a symmetrical shape. 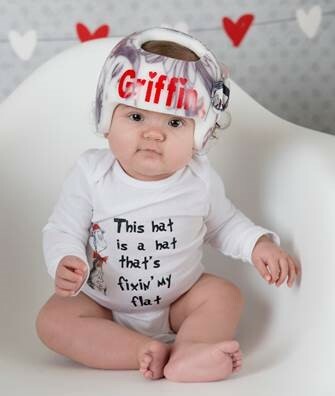 Helmets treat plagiocephaly and other issues that cause misshapen heads or flat heads. Every child is priceless; their orthotic care doesn’t have to be. Our experienced clinicians use the STARband, making it the #1 selling cranial orthosis in the world which allows successful completion of treatment for nearly all plagiocephaly patients with ONE headband — a significant cost savings to parents and payers compared to other providers who may suggest the use of multiple headbands.